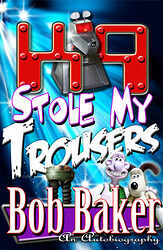 Bob Baker, co-writer of three Oscar and BAFTA winning Wallace & Gromit films and the co-creator of the Doctor's mechanical mutt K9, presents his autobiography 'K9 Stole My Trousers'. Among his recent work, Bob has just finished the first 26-part series of the regenerated K9, currently showing on the Disney Channel and Channel 5, and is gearing up for a second series in the coming year. Bob's life has been rich and varied; his adventures outside of his illustrious career range from a wine-tasting tour of France and mad sea voyages with the legendary Keith Floyd to playing jazz with John Fortune of Bremner, Bird and Fortune. 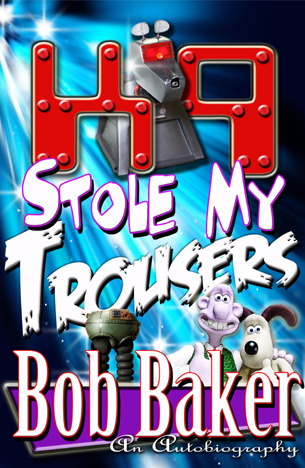 'K9 Stole My Trousers' is a tribute to some of the finest talents in TV in the last fifty years, both people Bob worked with and people he considers himself lucky to have known in his personal life.